Everything Beauty and Beyond! 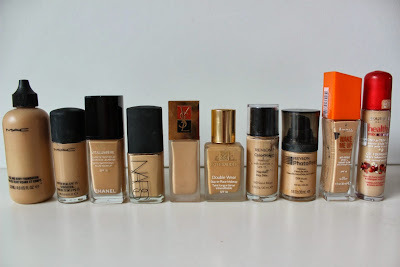 : How to Stop Foundation From Oxidizing! What happens when your foundation goes rouge on you and I don't mean in a blush way? Well its called oxidization. Basically many individuals with oily and possible combination skin (and not) have the unfortunate experience of having their foundation either true orange or a shade or two darker then what they originally applied. As you can see, I doubt it Snooki decided that morning to wake up and apply foundation that would make her look like a burnt orange lollipop. Nonetheless, this process can be very frustrating and expensive if you can't figure out why this keeps happening to you nor how to stop it. Therefore I searched the net for information on why this happens and how to stop in order to allow you to enjoy your foundation and negate the Snooki look! Oxidation happens when chemicals react to our facial oils/PH balance and counteract with the ingredients in our foundation. This can also happen if you apply sunscreen before hand. Common chemicals it reacts to are Titanium dioxide, Zinc oxides and Iron oxides. When applying sunscreen, its best you apply another product on top to create a barrier so these chemicals don't interact. Environmental weather is also a factor to consider. The more humidity there is where you live, the higher the chances of oxidization happening to your foundation. Air is another factor. However since we need it to breath and it is all around us, the best thing you can do is make sure your foundation is tightly closed when you are done applying it. The less air your foundation in the bottle is exposed to, the better. Try to buy foundation that comes in a air tight pump bottle which helps to keep air out. If you are using makeup that is as old as your grandmother, you can assure yourself that it will probably oxidize on you 100%. Remember everything has a shelf life. The older foundation gets the odds are that the liquid inside will separate. And no, shaking it over and over again to get it to mix won't change the fact for a product that is that old and ancient. You wouldn't eat five day old meat left out on the kitchen table so why put two year old foundation on your face? So what can you do to stop foundation from oxidizing? Check out some suggestions below to see which ones might work for you! First, use foundation primer that is silicone based. An example of this is Bare Escentuals Prime Time Foundation Primer - $27 CDN. 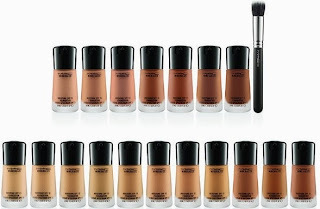 You can find this or any silicone foundation primer at your nearest Sephora. The point of primer is not only to help your makeup stay on longer, but create a barrier between the oils on your face and your foundation in order to help stop or minimize the oxidization process and not allow the chemicals to interact. 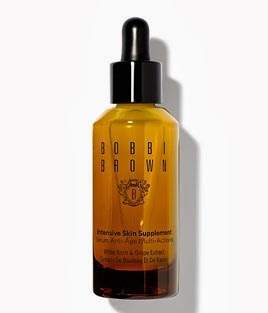 Another great product you can use that I saw mentioned all over the internet was Bobbi Brown Intensive Skin Supplement - $84.00 CDN. While this supplement is pretty steep in price, however since it is loaded with antioxidants, it helps created a prefect barrier to avoid makeup from oxidizing. One keep ingredient to stopping oxidization is to properly hydrate your skin before applying primer and/or foundation. 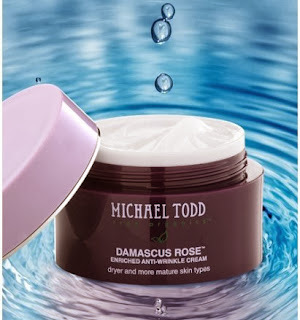 Michael Todd True Organic Damascus Rose Moisturizer - $36 US. This product is very emollient so it will help to moisturize your skin without leaving it oily. Changing your diet and lifestyle can go a long way. The more acidic you are on the PH scale and the more acidic foods you put into your body, the higher chances you have of your foundation oxidizing. Your normal drugstore sells strips that you can pee on to see how high your PH balance is. If you are concerned about your PH balance, I would recommend trying out these strips or speaking to your doctor about your levels and how to normalize them. A proper range is 5.5 on the PH scale. 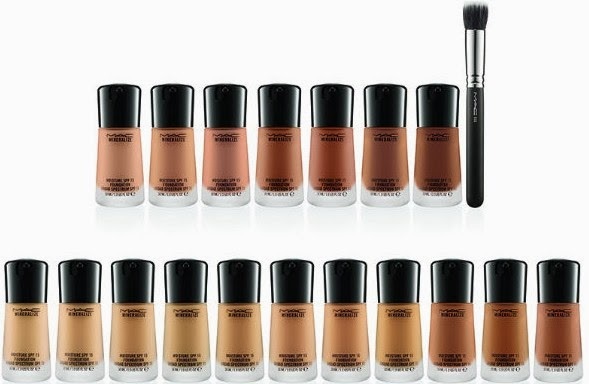 Get a foundation that is 1-2 shades lighter then your normal skin tone. If you really want to keep using that brand of foundation but you know it will oxidize on you, then your best bet is to do this. So when it does oxidize it will look like your normal skin color or the foundation color that you normally apply. Also, stay away for oil based foundation if you have oily skin. These two do not go hand in hand if your skin type is oily. Keep in mind that all foundations have a chance of oxidizing on you. However they all differ depending on your PH balance. While some may oxidize on you all the time, others not so much. So try out different brands or pick lighter shades if you refuse to give up on your brand. While sunscreen can cause oxidization due to it containing Titanium dioxide and Zinc oxide, you will NEVER hear me say not to wear sunscreen. You need sunscreen on your face all the time when going out during the day. I rather look like an orange yellow top all day long before I end up with skin cancer. Everyone who knows me knows that the only thing I cannot live without is sunscreen. So if you wear sunscreen underneath your makeup (and you should) then look for one that has UVA/UVB Broad-Spectrum protection. 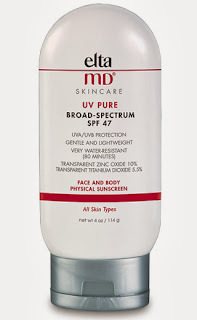 I highly recommend Elta MD UV Pure Broad-Spectrum SPF 47 -$27 CDN. However since sunscreen does have chemicals that cause the oxidization process in foundation, I recommend you apply this after you moisturize but before your primer to help build that barrier. Now a word of caution: Don't be fooled with ANY makeup that says it contains SPF. While its true that it does have SPF in it, however according to the medical literature you have to apply it extremely heavily in order to get proper cover from the sun. Nothing replaces an actual sunscreen. 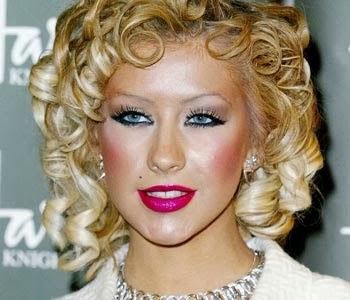 So unless you are willing to sport the look below, the "I wore way to much foundation look", get a proper sunscreen. Click here if you want to learn more about SPF in makeup and how it really doesn't work! I have such a huge problem with this! The last two foundations I purchased were lighter than I needed but appeared TOO orange on my skin! It's like I can't win! Looks like all solid skin products. I've never heard of some of these but I'll be passing this along to those that are into this. Thanks for sharing! I learned a lot from this article. Thank you! I have genetically huge pores and sunscreen is a guarantee that I will break out. You know it's in just about every moisturizer, foundation, bb cream...etc. I wish that more companies would accept the fact that some of us would rather wear a hat in the sun than put (often unnecessary) chemicals on our skin. I mean, I know I shine, but there's no risk of UV damage on date NIGHT. Oh, it drives me crazy! Thanks for your post. Have you thought about using physical (mineral) sunscreen? Since its all natural, it is prone to less break outs. I ONLY use mineral sunscreen since its all natural. I would say look into it, you might like it and have less break outs!